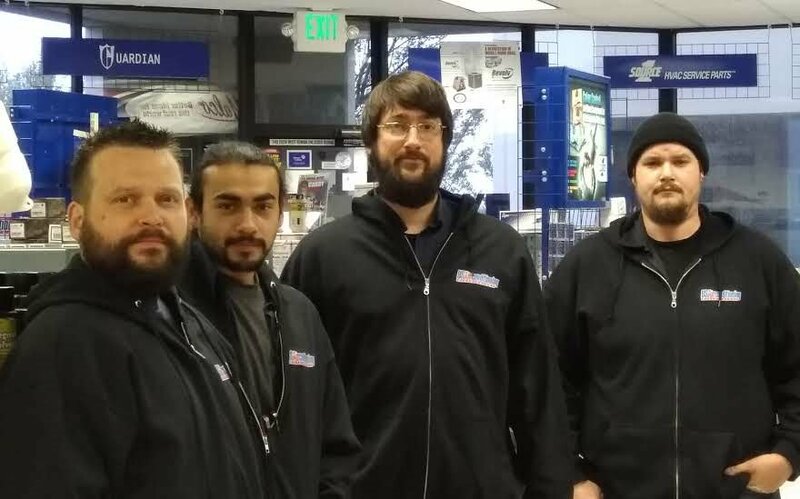 Meet the team – Fairfield, CA! I have been with US Air for 13 years and have the same number of years’ experience in the industry. I started as a warehouse temp at US Air and have never looked back! My favorite part of the branch is working with the best people ever! Our customers are THE BEST! In my free time, I enjoy spending time with the family. I’ve been working for USACD for 15 months now, with all my experience in the industry coming from my time here at US Air. My favorite thing about working here is the environment and the people I work with. I like to walk my dogs and spend time with my friends in my spare time. Andrew is Daniel’s “right hand man seated to his left.” Daniel describes Andrew as a great asset who does it all! He has also worked at US Air for 13 years; he started in the warehouse and has worked up to the sales counter. In his free time he enjoys spending time with his wife and four kids. Austin is one of our newest employees, having been hired just over two months ago. He is learning the HVAC industry for the first time and gaining a breadth of knowledge from his co-workers at the Fairfield store. He loves the convenience of the commute and the other employees he gets to work with. He enjoys fishing in the local rivers and streams in his off time!